What Do I Do With That Over Grown Manuscript? Home/ What Do I Do With That Over Grown Manuscript? I can’t decide whether I’m horrified or relieved by the size of the cuts in my new revision. On the one hand… well, I don’t have to make sure there are commas in all the right places. On the other hand… When, exactly, did cutting (cuss, cuss, expletive, derisive snort) thousand words become not a big deal? I’m not going to mention the number. I’m not even going to look at the number. Not until I’m done butchering. The good news is that I might actually manage to make this into one book. And maybe even one book of a marketable length. The bad news is that now, I have to actually write all the parts that aren’t in the draft, but are in the outline I’ve been working on. I’m doing the same right now. I just hacked out several characters and removed all traces of their existence, and now I have a gap that needs to be filled. Sorry, I don’t think I have any advice from a plotter or a pantser’s point of view, but I feel your pain! I’m usually a huge fan of cutting! 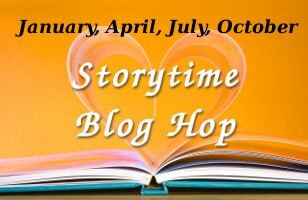 Finding the heart of the story and making my writing cleaner and crisper. Except…I just finished my latest rough draft and it IS my target manuscript length. I’m a bit terrified now. More so than I was cutting 1/3rd of my last manuscript. HA! In the same boat. Second draft = First draft – 10 percent. 10 percent? Ten percent… **counts on fingers** Looks at shreds of manuscript. **takes off socks** oh, I am so bad at math, but if you say so. Thanks for rooting for me!